Extra fasteners are great to have on hand so you don't have to trek to the hardware store. If SAE fasteners aren't available in your country, these can come in handy. Grouped in complete sets for your mill, hopper or hopper extension. Mill sets come with rounded end thumbscrews, or the locking bolt on new the new Pro series mills. 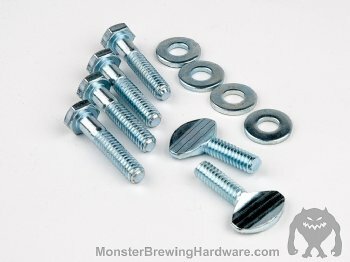 Hopper and Hopper extension sets come with the proper 8-32 nylon lock nuts to prevent loosening during milling.